it usually goes, we’ve chosen our 3 favorite movies available on HBO in March, ranging from new 2017 classics like Oscar winners The Shape of Water and Phantom Thread, to two of our favorites from last year, Paddington 2 and Isle of Dogs. We’ve also got a few new picks from our Best Comedies of All Time list and our Best Romantic Comedies of All Time list. In exploring the unsavory implications of “Minnesota nice,” the Coen Brothers created one of the most beloved, acclaimed and quotable films of all time. 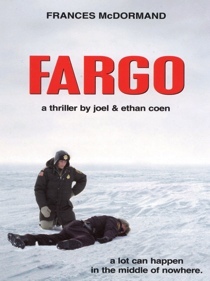 Fargo explores the tension that accompanies polite social norms and the quiet desperations they often mask, setting up one scene after another so awkward it’ll make your skin crawl. The emotional restraint displayed by such characters as Jerry Lundegaard (William H. Macy) and Mike Yanagita (Steve Park) is a thin and disingenuous veil over yearnings for money or companionship, while their foil, obviously, is Marge Gunderson (Frances McDormand), who really is that nice and hardworking and downright normal. The Coens strike a careful balance between gentleness and a stark gruesomeness underneath a typical all-American veneer, making you appreciate the art behind postage stamps as deeply as they make you cringe at the sound of a wood chipper. It seems unbelievable now that even an auteur as legendary as Terrence Malick actually secured financing to make poetry on the scale of The Thin Red Line. Pitched up on lush location in Australia and armed with a cast bursting with talent, Malick returned from moviemaking hibernation in 1998 with author James Jones’ story of a company of GIs battling Japanese forces in the paradise of Guadalcanal, all refracted through his own glorious lens. The result was an abstract and relentlessly contemplative epic, awash with gorgeous cutaways to jungle and beast, and—atypically for a filmmaker whose main fixation has always been the environment his characters reside in (The performances are faultless to a man, but a terrifically zen Jim Caviezel and a perpetually enraged Nick Nolte take the prize.) Hardly ever can a film sustain that aching feeling of raw emotion across its entire running time; this almost three-hour masterpiece does. Phantom Thread is a movie that is so wonderfully made, so meticulous in its construction, so deeply felt in execution, that you can almost overlook how prickly and scabrous it is. This has to be the most luscious-to-watch film, ever, that is in large part about how self-centered and inflexible the world of relationships can be, how we can only give up so much of ourselves and it’s up to our partner to figure out how to deal with that, if they want to at all. This is an uncompromising movie about two uncompromising people who try to live with one another without losing too large a part of themselves, and the sometimes extreme lengths they will go to get their way. Daniel Day-Lewis plays Reynolds Woodcock, a world-famous dressmaker who clothes celebrities, royalty and, sometimes to his chagrin, déclassé wealthy vulgarians. Almost everything that doesn’t meet his exacting standards is vulgarian, until one day while in the English countryside, Reynolds comes across a waitress named Alma (Vicky Krieps) who both meets Reynolds’ physical requirements (specifically so he can make dresses for her) and has a certain pluck that he instantly finds fascinating. Both of the principals of Phantom Thread are absurd and insane in their own ways, and one of the many thrills of the film is watching them bounce off each other, and then collide again. It’s the oddest little love story, so odd that I’m not even sure it’s about love at all. My colleague Tim Grierson said this first, but it’s too good an observation to ignore: This movie is in large part about the absolute unknowability of other people’s relationships. From the outside, it makes no sense that Reynolds and Alma would have this sort of connection with each other; it’s difficult to tell what either person is getting out of it. But what’s unfathomable about it is also what makes it so powerful.